Wout van Aert found a way out of his contract with cyclocross team Veranda's Willems-Crelan one year early as he seeks a road deal. 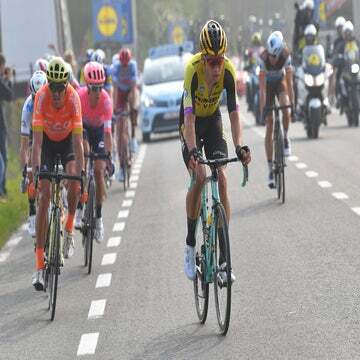 FLORENCE, Italy (VN) — Cyclocross world champion and rising classics star Wout van Aert appears ready to join LottoNL-Jumbo in 2019 — one year early because of troubles with his current team. Overnight, the 24-year-old Belgian and his team, Veranda’s Willems-Crelan, announced they have severed their contract. That frees up the three-time elite men’s ’cross world champ, who made a big debut in the cobbled classics this spring, to join WorldTour team LottoNL-Jumbo next year instead of waiting. He had already signed earlier this year to join the team in 2020. “Wout van Aert has unilaterally terminated his contract with Sniper Cycling on Monday evening, September 17, 2018,” read a release from team management company Sniper Cycling. “This decision came despite the fact that the team management tried to unblock the situation last week, e.g. by offering him an improved contract for 2019. Van Aert won the last three cyclocross world titles. He is transitioning to the road, making a big splash this spring when he placed ninth in the Tour of Flanders and 13th in Paris-Roubaix. He was under contract with Belgian team Veranda’s Willems-Crelan through the end of 2019. The team reportedly was planning to merge with Aqua Blue, but instead announced at the end of August that it would merge with Roompot-Nederlandse Loterij. Van Aert would have been the star rider of the announced merger. The new Roompot-Crelan team will ask the other riders to step up, but it’s now unclear if the team will even exist since the merger may hit a roadblock without van Aert included in the package. Roompot-Nederlandse Loterij includes Taco van der Hoorn, who brought in a recent WorldTour stage victory at the BinckBank Tour. 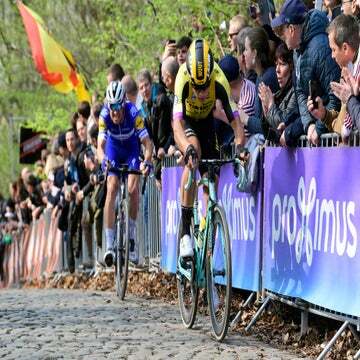 Ending his contract early, van Aert will have to pay a fee to Sniper Cycling. He could pay upwards of 500,000 euros, the estimated value of his contract. It is unclear if he would pay the fee himself or if sponsors would help. Van Aert is just beginning his cyclocross season, but it’s not known which kit he will wear. An announcement is expected soon. Van Aert will be racing at the upcoming Waterloo and Jingle Cross events in Wisconsin and Iowa.